home to be with the Lord on October 2, 2018.
graduated high school in 1969 from Hazlehurst High School. Mill and Hazlehurst Nursing Home. her membership to Kirkland Grove were she also served as an usher. Hazlehurst, GA and Loretta (Willie) Welch of Okeechobee, FL. GA. A special friend to the family, Ann Carver of Alma, GA.
She will also be missed by a host of nieces, nephews, friends and neighbors. To send flowers or a remembrance gift to the family of Katherine Arnold Myles, please visit our Tribute Store. 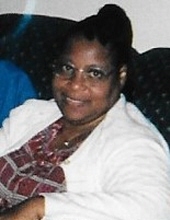 "Email Address" would like to share the life celebration of Katherine Arnold Myles. Click on the "link" to go to share a favorite memory or leave a condolence message for the family.